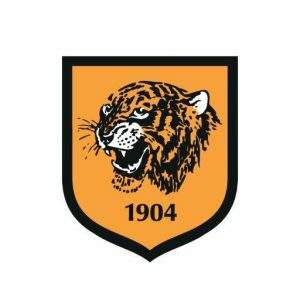 The First Tier Tax Tribunal has published its decision in the case of Hull City AFC (Tigers) v HMRC. This decision is the first in respect of footballers’ image rights since Sports Club Plc v HM Inspector of Taxes almost 20 years ago. Hull City, having been newly promoted to the Premier League for the 2008/09 season, for the first time in its history, signed Geovanni, a former Brazil international on a free transfer, having recently been released by his former club, Manchester City in July 2008. Shortly after signing Geovanni, Hull entered into an image rights agreement with Joniere Limited, a British Virgin Islands company, to exploit his overseas image rights. The club entered into a further image rights agreement with Joniere Limited in or around March 2010. From December 2008 to July 2010, Hull paid Joniere Limited a total of £440,800 under the terms of the two image rights agreements. Geovanni left Hull in the summer of 2010 following the club’s relegation from the Premier League and the image rights agreement and playing contract were terminated at the same time. HMRC argued that the payments to Joniere Limited represented Geovanni’s earnings and therefore Hull, as his employer, was liable to account for tax and national insurance contributions. The Tribunal held that it was necessary to look at the substance of the sums paid rather than their form and that, realistically viewed, the payments were emoluments for the player’s past, present or future services or whether they were consideration for the licensing of his overseas image rights. The Tribunal further held that it was not necessary for HMRC to show that the agreements were a sham for their case to succeed. Viewing the facts realistically, the Tribunal decided that Hull had taken no steps to exploit Geovanni’s overseas image rights because it never had any clear intention, plan, or real interest in commercially exploiting those rights. The club did not have the experience, resources of ability to exploit commercial opportunities relating to such overseas image rights. The decision notes that the club’s two top sponsors were local businesses; however, the UK market was not covered by the image rights agreements (which was “utterly bizarre”), to quote one of the expert witnesses). Image rights have been under renewed scrutiny since the January 2017 report from the House of Commons Public Accounts Committee claiming that the rules allowing footballers’ income from image rights to be treated as a separate stream of income were being exploited for tax avoidance. The subsequent 2017 Budget announced new guidelines would be developed for image rights payments. Later the same year, Mel Stride, Financial Secretary to the Treasury, reported that HMRC was conducting enquiries into 38 professional football clubs, 90 players and 13 agents regarding offshore image rights. This case is the first to make it to the tax tribunals since the 2017 crackdown and the decision is firmly in HMRC’s favour. However, should further cases come to the tribunal concerning more prominent players and Premier League clubs with the ability to have exploited image rights, the decision may be very different.